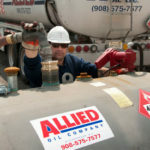 UPDATE 10-21-16 NJ PETROLEUM GROSS RECEIPTS TAX RATE INCREASE - Allied Oil Co. The State of New Jersey is raising the NJ Petroleum Gross Receipts Tax (PGRT). It is to be increased by 12.85% of the surveyed average pre-tax price for fuel in the state as of 7-1-2016. This increase will be on top of the $0.0400 per gallon currently being charged for the NJ PGRT. For gasoline the increase to the PGRT will take place on Nov. 1st, raising the tax on gasoline by $0.2300 per gallon to 27c/gal. This rate in addition to the old $0.0400 will be adjustable, changing as frequently as quarterly, as determined by periodic Board of Public Utility surveys of the statewide pricing. This increase will also be applied to ‘floor stocks’, fuel volumes held in inventory at the time of enactment (Nov 1st). Businesses will be required to take and report their inventory volume, and then pay to the state the increased tax on fuel in inventory. Tanks over 10,000 gallons are to exempt the first 400 gallons and similarly the first 200 gallons for smaller tanks. NJ Tax Div of Taxation has confirmed that the floor tax is not to be applied only to fuel resllers. The increase on the PGRT for ‘clear’ highway diesel will been broken into 2 parts- applying 70% of the increase (estimated at $0.1600/gal.) on Jan. 1 2017, and then the remaining 30% of the increase (estimated at $0.0700/gal.) on Jul. 1 2017. Details are pending from the state Tax Dept. Stocks are expected to be ‘floor taxed’ at both implementation dates. This rate will also be adjusted as frequently as quarterly thereafter. NJ PGRT will no longer apply to most uses of off-road diesel (including- farm equipment, construction equipment, generators and most commercial fishing vessels) as well as commercial heating oil. Residential heating oil uses will continue to be exempted. It is expected that operators of exempted systems like commercial fishing vessels, ambulances etc that use clear diesel or gasoline will be required to pay the new PGRT taxes at time of purchase and then later file with the state for a PGRT refund. The new tax law repeals PPGRT taxation for most dyed diesel uses and commercial heating as of Nov 1st. As such, anyone holding dyed diesel or heating oil in inventory used for purposes previously PPGRT taxed as of Nov 1, may be eligible to file Form PPT-20 for a refund with the NJ Division of Taxation. -Note in ‘Explanation of Refund’ as of 10-1-16 this fuel use is no longer taxable under NJ PPGRT and the tax had previously been paid. 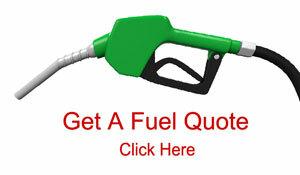 -Provide a copy of the invoice(s) for the fuel showing tax was paid. We are awaiting further clarifications from the NJ Dept. of Taxation and will update this page as new information is made available. Many thanks to The Fuel Merchants Association of New Jersey for their efforts keep us informed on the progress and details of this new legislation.